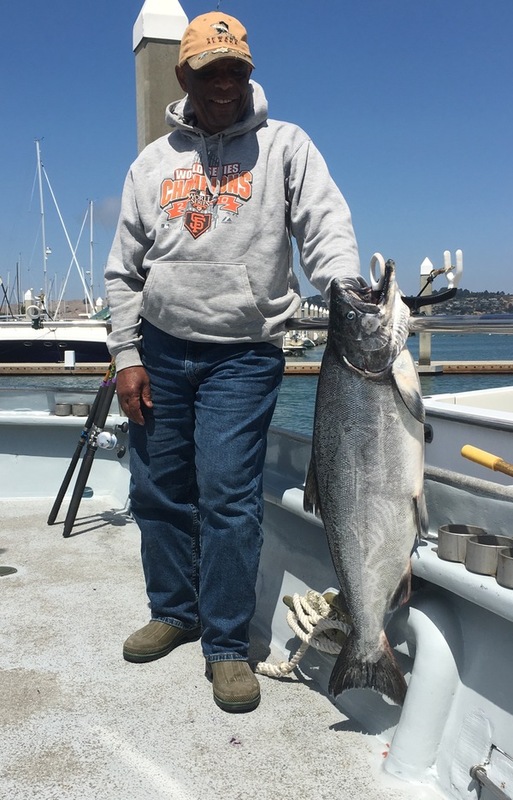 Larry from Los Osos caught the first (first 4 actually), the biggest at 25lb and the most Salmon today (6 fish total on his rod)! Captain Jared Davis checked in from the Salty Lady out of Sausalito, CA. We had limits of Salmon today for our 9 anglers at Drakes Bay. We had nice quality today … up to 25 pounds. We have lots of room available give us a call to book a spot. The Salty Lady runs fishing trips out of Sausalito, CA. If you would like to join us on a fishing adventure please call us at (415) 548-0150 and book your reservation now. For more information you can visit our website at www.saltylady.com.